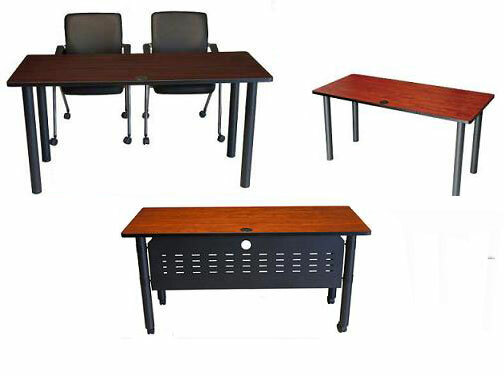 These versatile training tables come in several sizes to best suit your seminar or conference room layout. The tables are finished in either a Deep Mahogany or Rich Cherry laminate. The edges are finished with Black, 3mm PVC banding to compliment the tabletops. 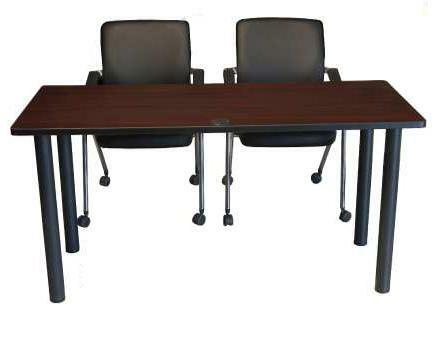 If used in a permanent setting the tables can be ganged together and utilize common legs (2) at each joint.